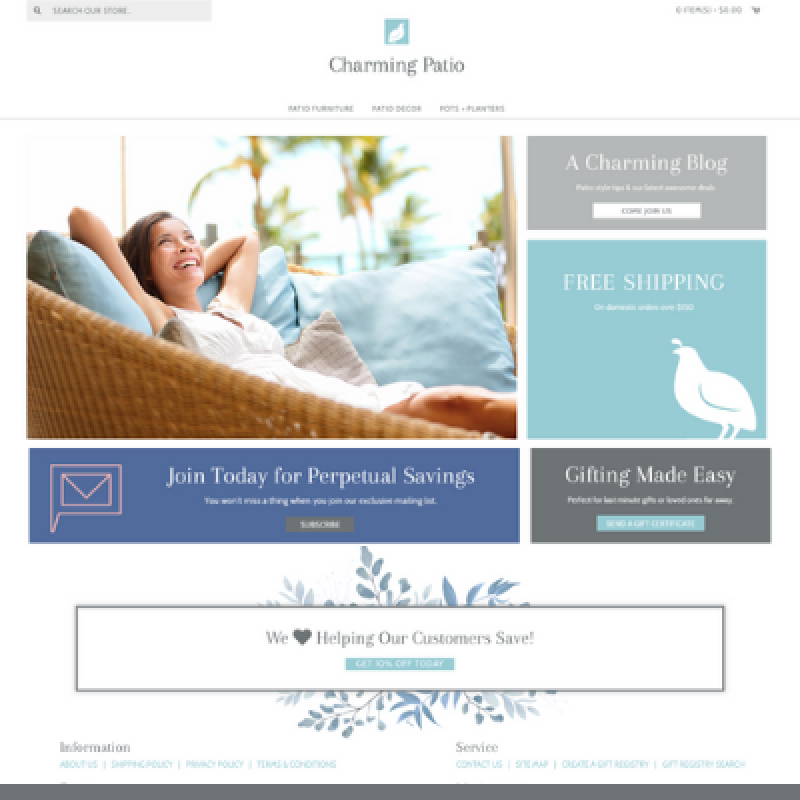 Concept: Pure-Ecommerce is excited to announce the launch of CharmingPatio.com - This sophisticated home goods and decor website offers a fabulous variety of products perfect for creating a charming patio for home dwellers to enjoy for years to come! 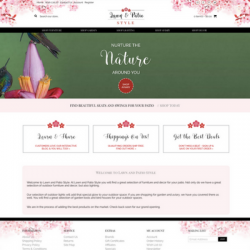 Here online shoppers can shop the easy to access categories where they will find stylish patio furniture, charming patio decor and beautiful pots & planters. No need to hold any expensive or bulky product inventory as all the products featured on this website are from drop ship vendors. 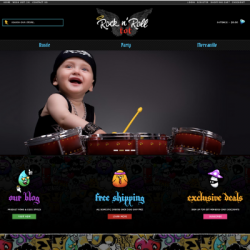 This means they will ship the products purchased directly to your customers on your behalf. This gives you the freedom and flexibility to work from any location and create a schedule that works best for you and your business! CharmingPatio.com is a 100% responsive design website, which means it will look fabulous whether customers are shopping from the convenience of the PC, smartphone or tablet. 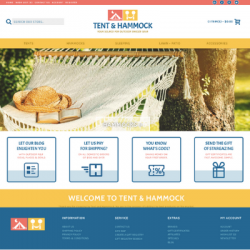 As the owner of this website you will be able to reach out to your customers through the connected social media pages, blog, and newsletter. You will not only be able to market the charming patio products through these various outlets, but you will also be able to share helpful tips, exciting news, sales and more! New to ecommerce? Not to worry - our team is here to help you! First, we will load the first 300 products, as well as, contacting and gaining approval for the initial drop ship vendors. You will also receive 40 hours of step-by-step consulting as you work through our 10 step instructional process. We will give you the essential tools to set up, learn to run and market this online business. You just need to be ready to learn and work hard to get your business launched in the online marketplace. Are you ready to help people create a charming patio where they can relax and enjoy their outdoor space? Take the next step - Register or Log In Now for our pricing and find out more on how our team can help you get started! Technavio reports the Outdoor Furniture Market is valued at $7.693 billion in 2016 and is estimated to grow to $9.002 billion by 2021. The outdoor furniture and accessory segment in the U.S. will grow at a CAGR of 4.02% by 2021.